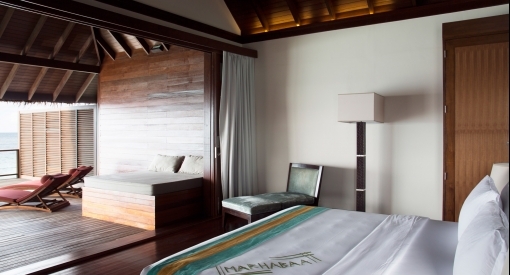 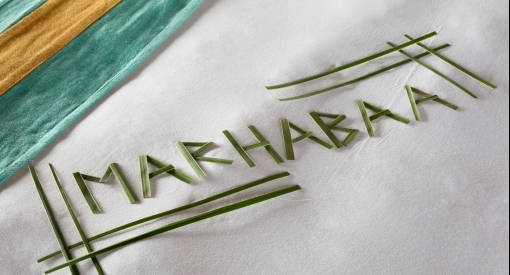 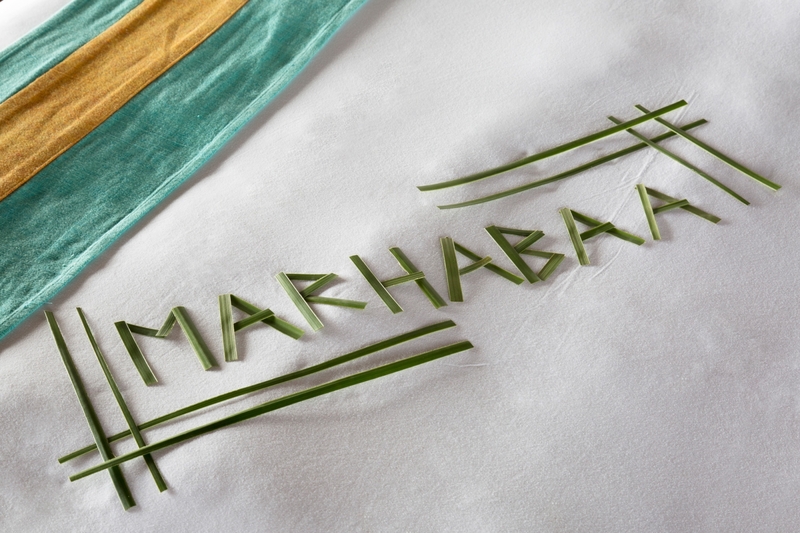 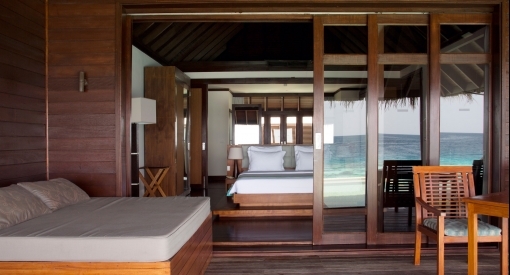 To be in a Water Villa is to be at one with Bodu Hithi’s crystalline lagoon and the wonders of its House Reef. 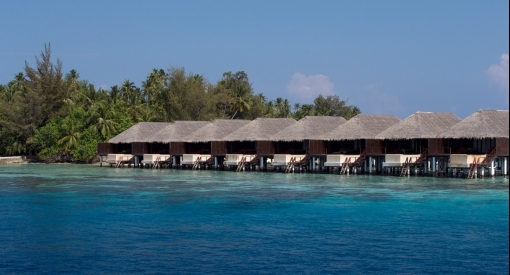 The vibrant, glistening green-blue lagoon stretches out underneath our 16 Water Villas, gently lapping against the stilts on which the villas stand. 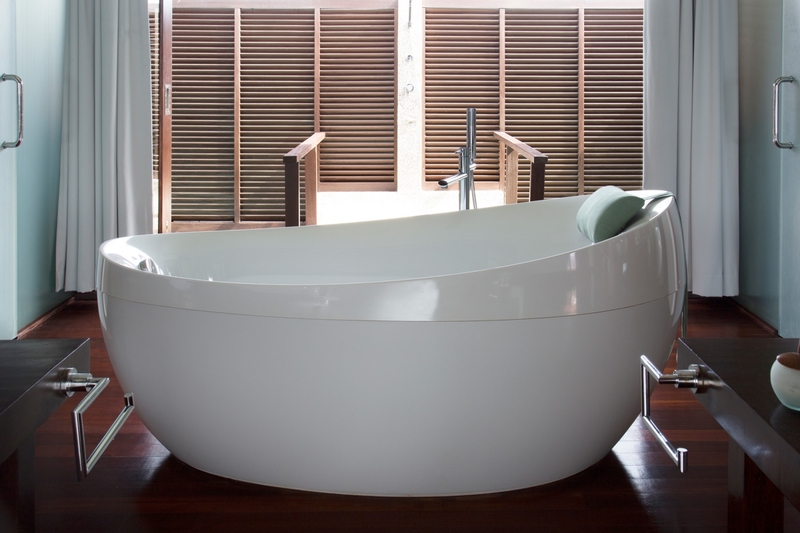 The cosy internal spaces are stylishly arranged across 109 square metres to make sleeping, bathing and lounging a pure pleasure. 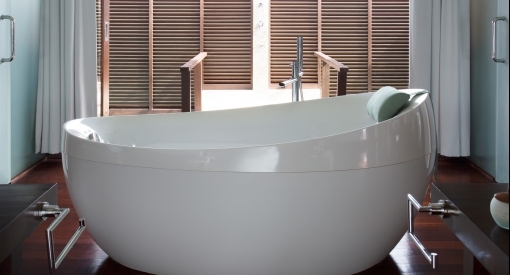 The bathroom area with its deep designer bathtub and outside shower can be separated by pulling to the sliding doors, or the entire villa can be opened up. 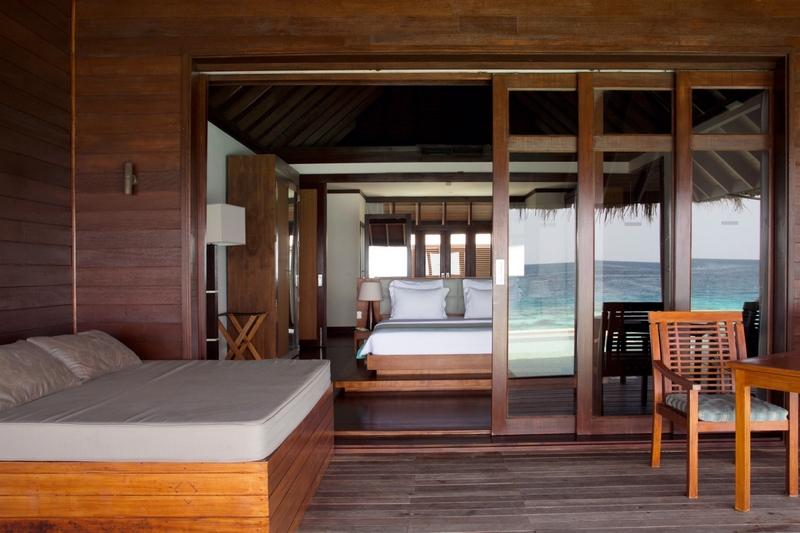 At the foot of the bed, delicate drapes and sliding doors lead to a decked terrace. 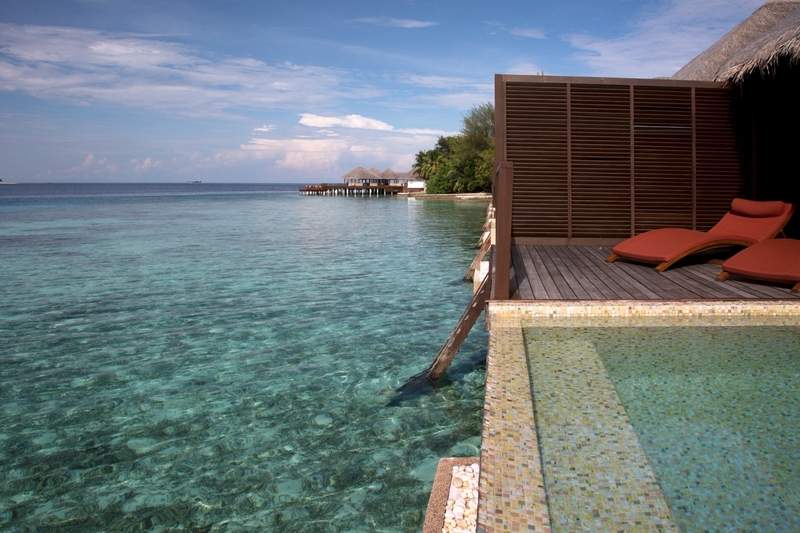 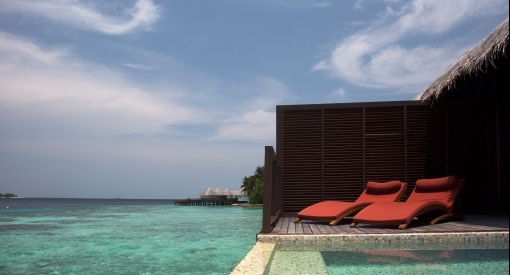 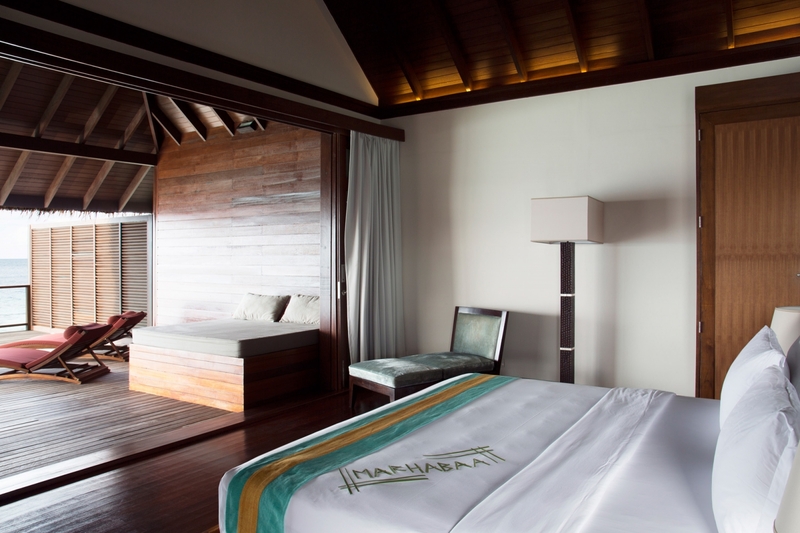 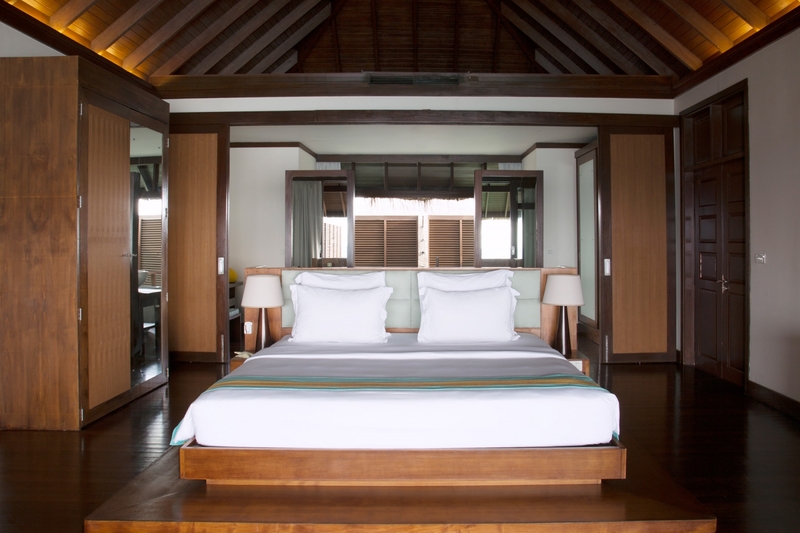 On this sleek platform over the water, a day bed awaits under the shade of the authentic Maldivian thatched roof. 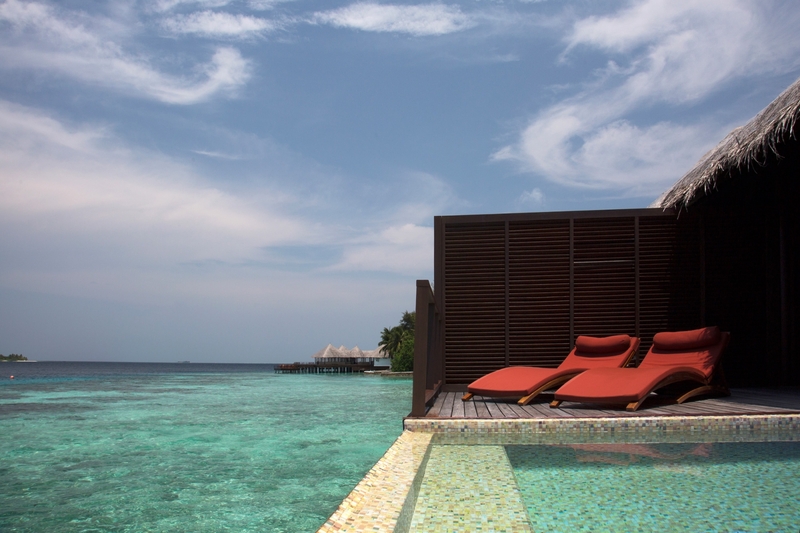 A dining table and chairs invite alfresco dining, and a private infinity pool gives you a stylish way to cool down. 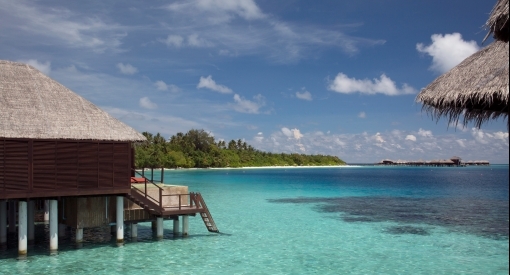 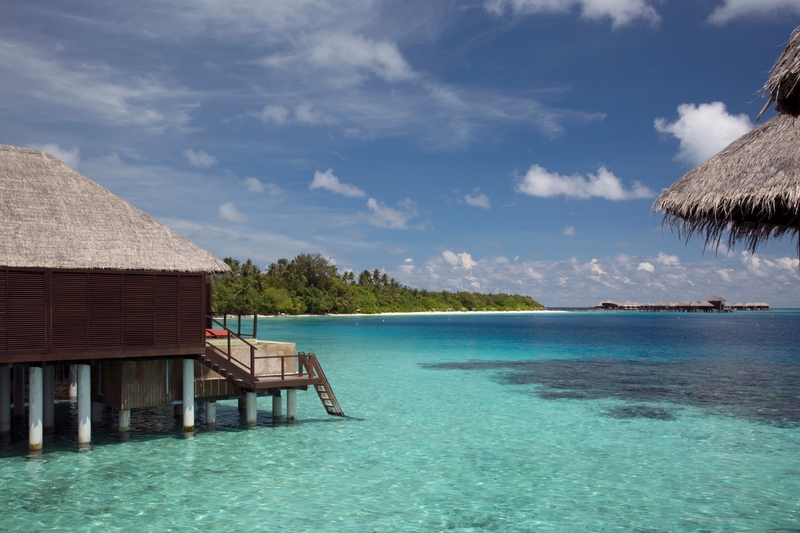 Why not upgrade to an Escape Water Villa?